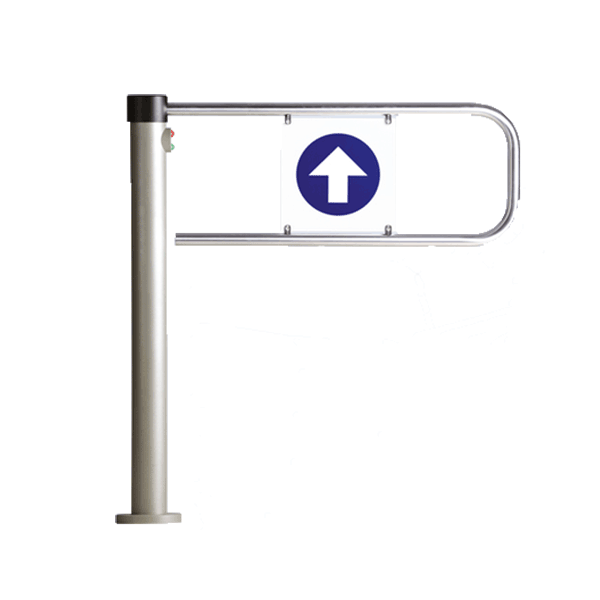 Wide Access Gates provide enough room for wheelchairs, trolleys and other units to pass without difficulty. In order to comply with UK legislation, public buildings and spaces must adjust physical features so that those with a disability receive the same services, as far as this is possible, as someone who is not disabled. This legislation applies to pedestrian access systems. URSA Gates have over 25 years’ experience in the installation pedestrian access systems across the UK. All of our installations include a 5 year warranty. For more information about installation please contact us. URSA Gates' systems can be installed in either a single or double unit, creating a gap of up to 2 metres allowing sufficient space for wheelchairs, trolleys and bulky goods. The gates are motorised allowing access by an access control system such as a push button. Our units can be installed in conjunction with other turnstiles, speed gates or paddle gates enabling consistency in design. Complying with disability access requirements is a breeze when wide access gates or P gates are fitted in public buildings, shops and workplaces, as they comply with all the relevant legislation and allow disabled employees and visitors to access areas with ease. You can opt for automatic gates or choose the more ecologically sound option with swing gates. If you have disabled employees, shoppers or visitors, our gates provide the easy and quick access required to ensure you will never fall foul of relevant legislation. You can fit gates in corridors and access points up to two metres in width and you're sure to appreciate all the benefits of these secure access points for a variety more reasons. Your business operations will be smoother when you opt for our wide access gates which can be single or double units to ensure a safe access point for prams, trolleys and wide loads of bulky products. 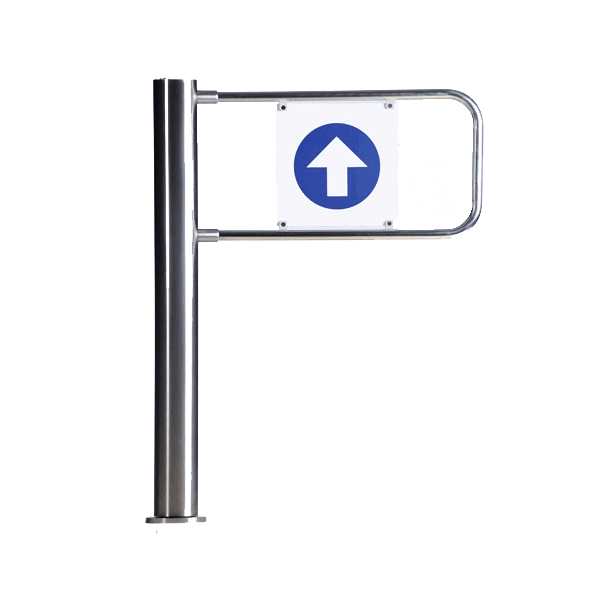 Visitors and employees will appreciate the ease of push button operation, if you opt to motorise your access gates, alternatively choosing swing P gates makes it simple to control your one-way pedestrian access points and is far more economical. A simple push button control is used to operate our swing gates and it's easy to lock the gate to ensure only one-way access or exit is available, if preferred. Our motorized DDA wide access gates are available in two sizes, to allow you to opt for the design best suited to your needs. The tempered and smoked glass finish is ideal for buildings of any style or design. Our gates feature electronic panels and remote control panels, yet will operate independently in the event of alarms or power cuts, ensuring buildings can be evacuated swiftly and safely by every available exit point. 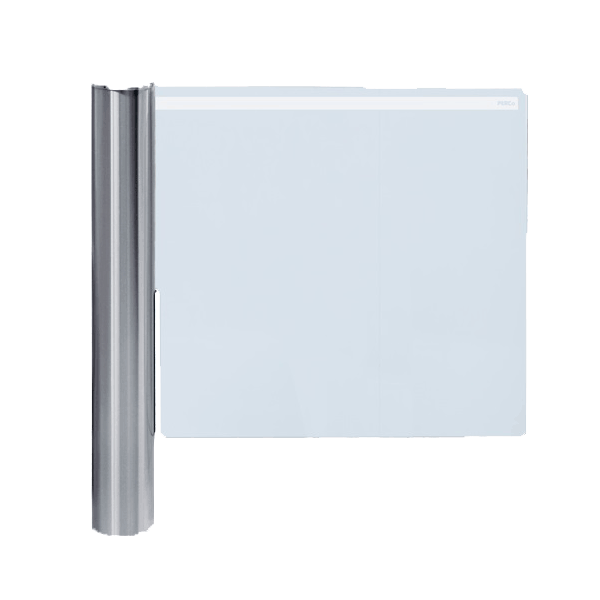 You can opt to fit your motorized DDA gates as single panels or double, in the knowledge that both panels will operate in conjunction at all times. Based in Glasgow, Ursa Gates have over 25 years' experience in the installation of automatic, electric, wide access & p gates. We have established ourselves as a leading installer throughout the UK and R.O.I. delivering solutions to both commercial and domestic customers alike. We pride ourselves on engineering excellence installing only the best automation equipment available.